Caroline is a clinician and researcher in Homeless and Inclusion Health. 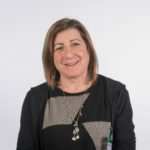 She is clinical lead for a hospital homeless Pathway team at Kings College Hospital and has worked as a GP providing primary care in a specialist homeless practice for many years.Caroline is a Pathway research Fellow and honorary senior lecturer at UCL, London. Caroline was the Principal Investigator of the UK’s largest research project exploring palliative care for homeless people. 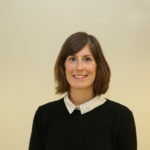 Briony is a Health Psychologist, a Pathway research fellow and research associate at the Marie Curie Palliative Care Research department at UCL, London. 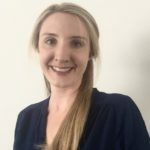 Briony has been the lead researcher on a large research study exploring the challenges to palliative care for people experiencing homelessness, for which she won the 2018 UCL Excellence in Health Research Award for early career researchers. Niamh Brophy is the Palliative Care Coordinator for St Mungo’s homeless charity. Niamh supports residents who are vulnerably housed or in temporary accommodation who have advanced ill health, working to ensure they receive care that best meets their needs. Niamh also develops and delivers training to frontline staff, health and social care professionals to raise awareness of the unique challenges faced by people experiencing homelessness. Niamh also works as a therapist with a special interest in trauma, and its impact on recovery and wellbeing. Huge thanks to our research collaborators; Pathway, The Marie Curie Palliative Care Research Department at UCL, The Oak Foundation and St Mungo’s for all of their help and support. Most importantly we would also like to thank everyone who shared their time, insights and experiences with us by taking part in the research. The development of this toolkit was funded by a grant from the UCL Innovation and enterprise HEIF Knowledge Exchange and Innovation Fund and Marie Curie. 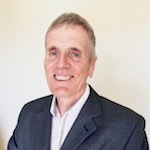 The research upon which this toolkit is based was funded by a grant from The Oak Foundation with support from Pathway, Marie Curie and the Marie Curie Palliative Care Research Department at UCL. Why are conversations about the future and health choices so hard?